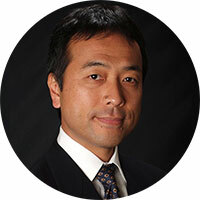 Yosuke Chikamoto, PhD, is Principal & Consultant at Caring Accent, a California-based consulting firm specializing in healthcare communications and innovations. Prior to his current role, Yosuke devoted his efforts to improving care experience for both patients and providers as the Director of Center of Excellence in Physician Communication at Mount Sinai Health System, and as a Senior Consultant at Physician Education & Development, The Permanente Medical Group-Kaiser Permanente. He has been actively engaged in international dissemination of health innovations with a focus on health behavior change and clinician engagement since his post-doc years at Stanford followed by his professorship at California State University-Fullerton and American University.